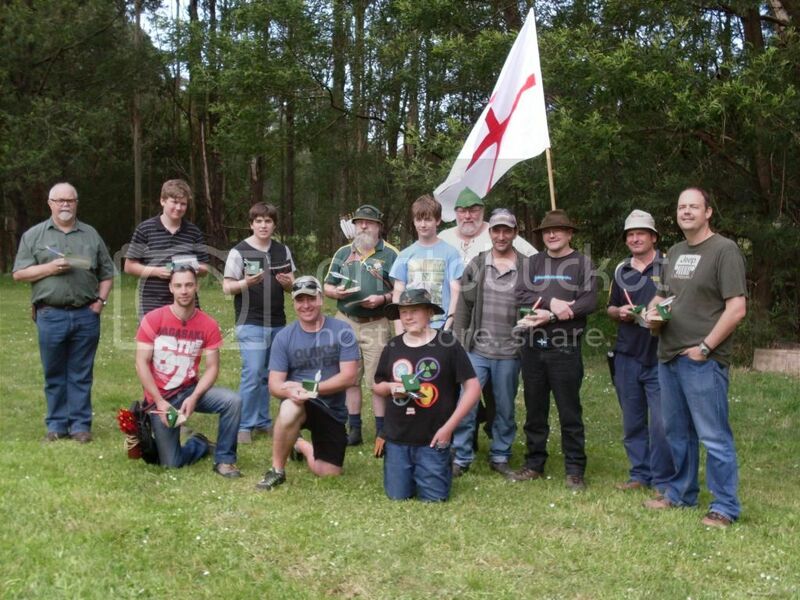 Leongatha Medieval Society :: View topic - 19.10.2014 LMS 3D Royal Hunt. Posted: Sat Aug 16, 2014 6:48 pm Post subject: 19.10.2014 LMS 3D Royal Hunt. 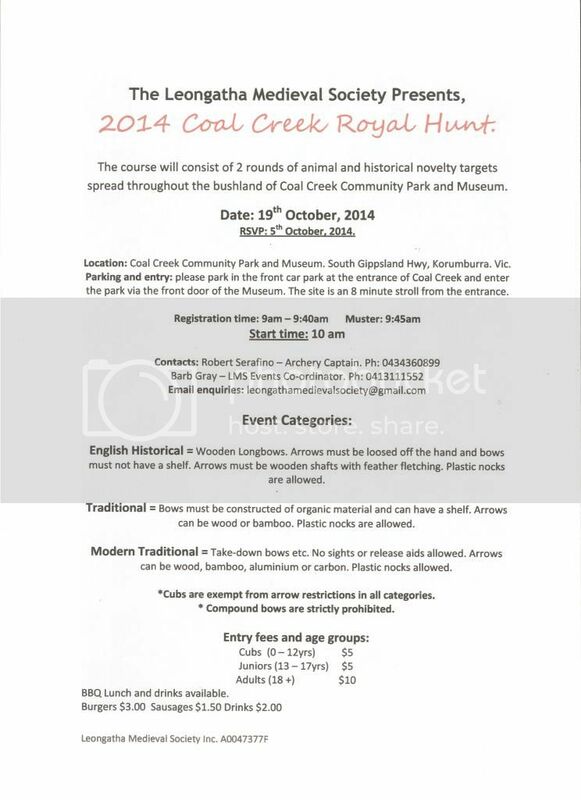 Hey Folks, here is our flyer for our upcoming 3D Royal Hunt to be held on October 19th, 2014. RSVP is really important, especially if you wish to purchase lunch from our BBQ. Details as per the flyer. 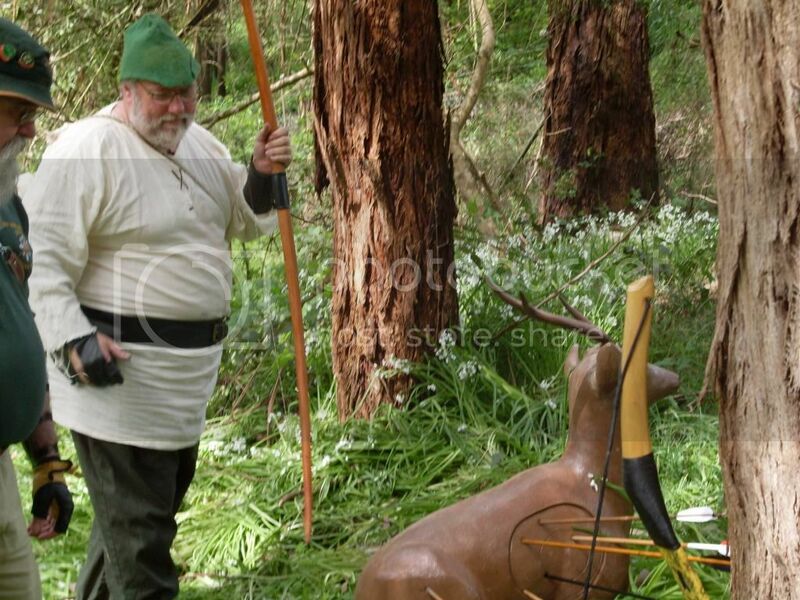 We look forward to seeing you there for a fun trad shoot. Posted: Thu Oct 16, 2014 8:55 pm Post subject: Almost there. we are almost there and I hope the weather sticks to the 24C that we have been advised. Please be aware that the traffic may be a little heavier than usual with the Super Bikes Grand Prix that is also on at Phillip Island. So please travel safe. Please contact us by the phone numbers given and not by email at this late date. 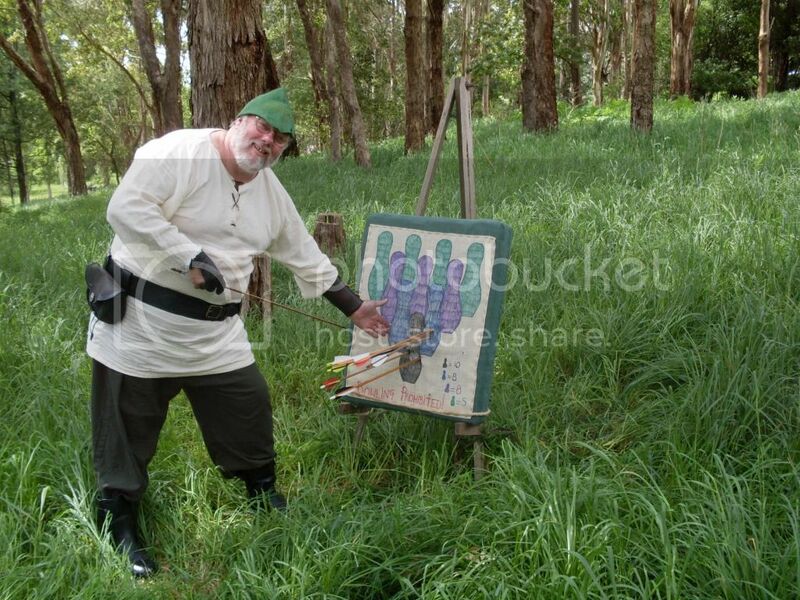 We advise you to wear sturdy, weather proof footwear and don't forget to bring at least 4-6 arrows minimum. I think we are in for a great day. Hope to see you there, Silverlady. Posted: Wed Oct 29, 2014 1:06 pm Post subject: How the day panned out. 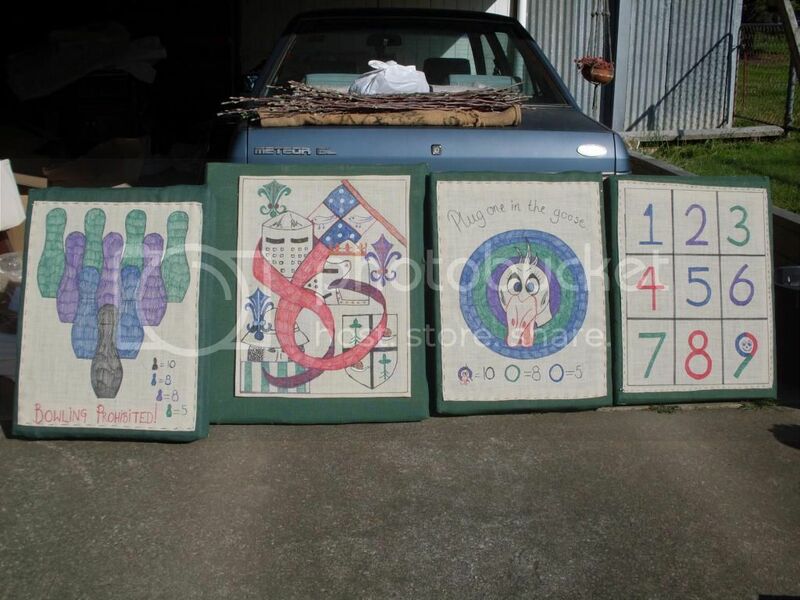 Here are a few pictures of the targets and the winners. Congrats to all and many thanks to those that helped bring the day to life. 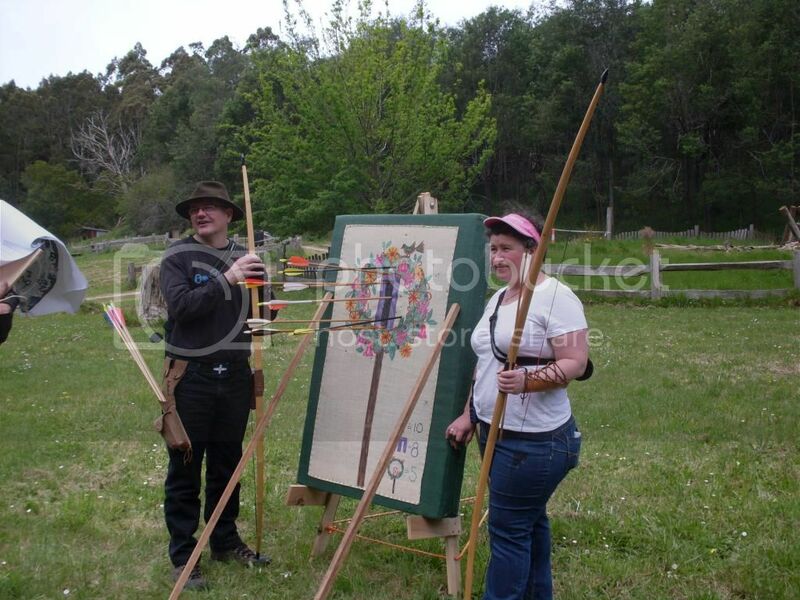 A special thanks to Wendy Jones whom helped make it possible for us to have some 2d bulk filler targets amongst everything else she contributed and again to Wendy and Alex for putting together a raffle table. Back Row: Tony Justice, Mark Beattie, Lester Berryman, Paul Williams, Alex Jones, Ian Van Aperen, John Sibio, David Melville, Darryl Cockett and Stuart Forsyth. Front Row: Brendon Abernathy, Mick Kay and Conlan Forsyth.